The GrantWriting Power Hour has set dates for their upcoming meetings. The partial 2019 dates are: January 8th, March 12th, May 14th & July 9th — please write these in your calendars! All meetings will take place the Community Foundation of Northeast Iowa from 11 am – 12 noon. Topics will be shared as they’re available. Come network with our GrantWriting Power Hour group at the Community Foundation of Northeast Iowa, 3117 Greenhill Circle, cedar Falls. Attendees should plan to spend time talking about their organization, sharing a sample of their grant funded projects, discussing major funders, etc., and any project ideas that could be a collaboration with other members. There will also be months where guest speakers will be brought in. 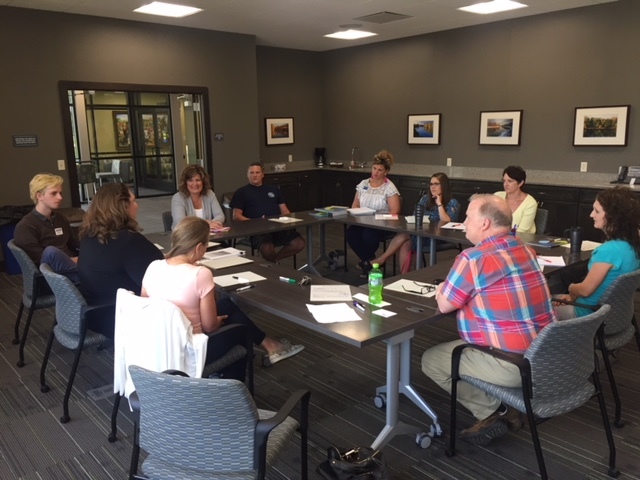 History: In July 2011 several grant proposal writing professionals in the Cedar Valley decided that they would benefit from an opportunity to learn from one another, so the Grant Proposal Writing Learning Network of the Cedar Valley Nonprofit Association was developed. In 2018, a revamping took place and renamed the group to GrantWriting Power Hour and a more formal agenda and meeting dates were established. Mission Statement: The grant proposal writers network provides a forum for professional development, information sharing, and collaboration/support. Initial Goals: To form a vibrant network of grant proposal writing professionals who will support one another, and ultimately garner more resources for the community. Success Measures: (A) Strong relationships between members have helped members improve their practice. (B) New and expanded opportunities exist for funding due to partnerships and/or improved resource sharing. Who should come? Everyone is welcome. The group was founded out of a recognized need for professional development for people who are established in the field and wanting to improve their practice.